Encountering interesting flavor profiles is incredibly satisfying. But even more satisfying is discovering that said culinary preparations are also beneficial for your health. 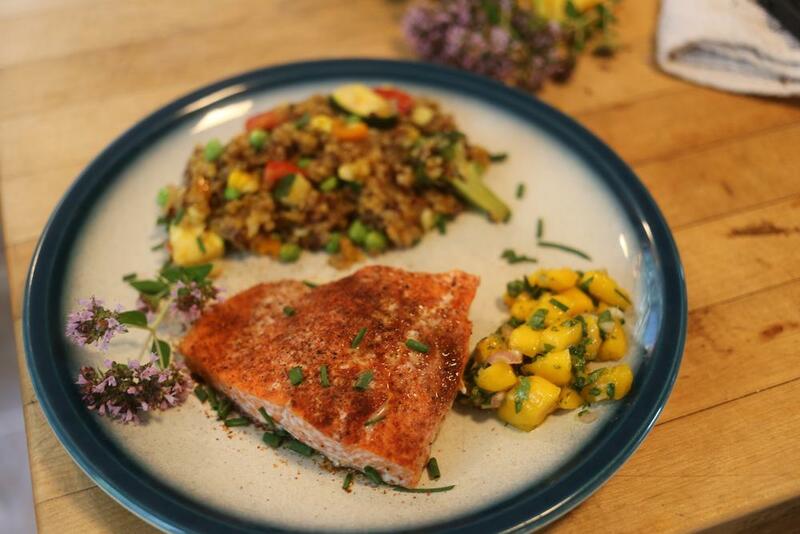 This is why we were thrilled to come across spice maven and Wild Alaskan member Janice Wheeler’s zesty secret spice salmon with mango salsa — which, thanks to the capsicum chili in her not-so-secret weapon, in addition to having high antioxidant and anti-inflammatory properties, is also very much a party on a plate. 1-2 teaspoons Secret Spice Remedy, to taste. Use the spice as a Rub, 30 minutes to two hours prior, and let salmon come to room temperature. Bake, grill or pan-fry to desired doneness. To learn more about Secret Spice, visit: www.secretspiceremedy.com.